The Countdown to the World's Largest Mystery Convention has begun. 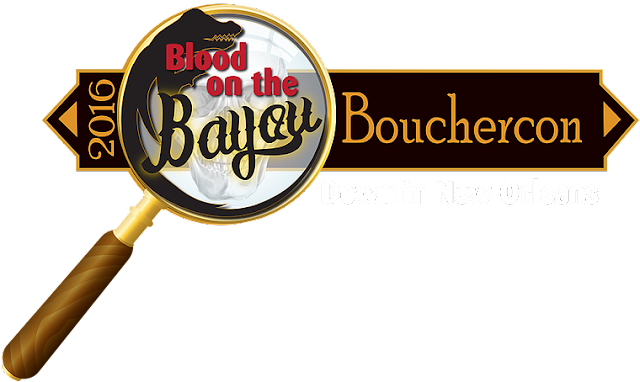 The event officially begins this Thursday in New Orleans and Mystery Playground will be on the scene. 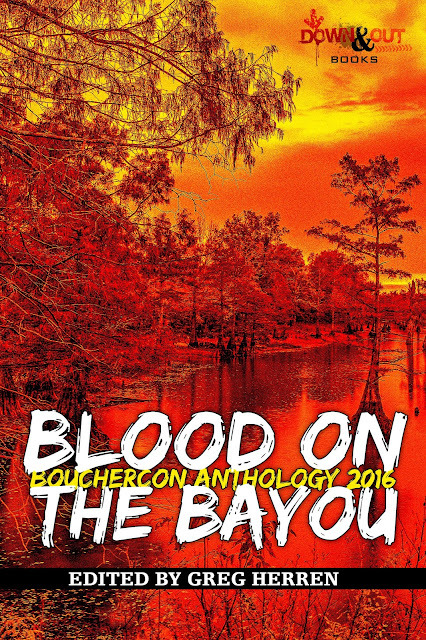 On Saturday at 2pm, don't miss the book signing for this year's Bouchercon anthology, Blood on the Bayou, edited by Greg Herren. You can get your book signed by David Morrell, Elaine Viets, Deborah Lacy (that's me), Terrie Farley Moran, Edith Maxwell, Allison Gaylin, John Floyd, Gary Phillips, Eric Beetner, Liz Milliron, and many more. Proceeds from the book go to the New Orleans Public Library. You can buy the book on Kindle here. The opening ceremonies start Thursday night after a mini Mardi Gras parade with the convention's guests of honor. This year's Toastmasters, Harley Jane Kozak and Alexandra Sokoloff will introduce each presenter for the Barry, David Thompson Special Service Award, Derringer and McCavity Awards. One of our other favorite events is the Harper Collins author book signing. JA Jance, Charles Todd, Lou Berney, Glen Erik Hamilton and many more authors will be on hand right after the opening ceremonies to sign their books and give them away to fans. 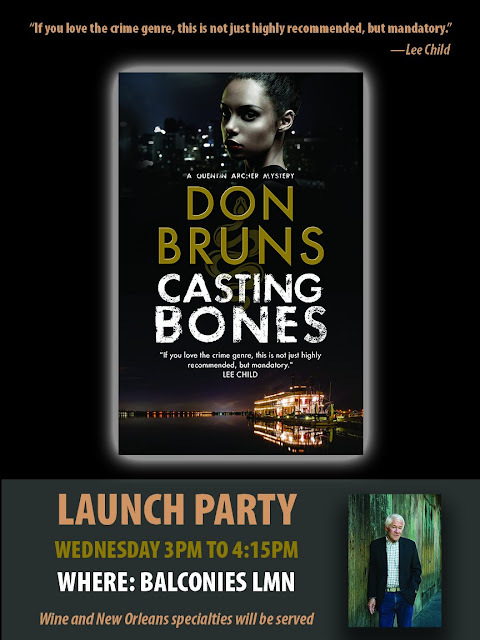 Don Bruns is having a launch party for his new book on Wednesday before the show starts. Hosted by Eric Beetner, Meg Gardiner, Grant Jerkins, Matt Coyle, Lori Rader-Day, Terrence McCauley, Steve Cavanagh, Thomas Pluck, Neliza Drew, Todd Robinson, Rob Brunet, Jay Stringer, Kris Calvin, Rick Ollerman, Michael Pool, Steph Post, SW Lauden, Danny Gardner, and Craig Faustus Buck. If you're in New Orleans, find Kim Hammond, Kerry Hammond, Patricia Lacy, or Sharon Long or me (Deborah Lacy) to get your Mystery Playground name tag ribbons.